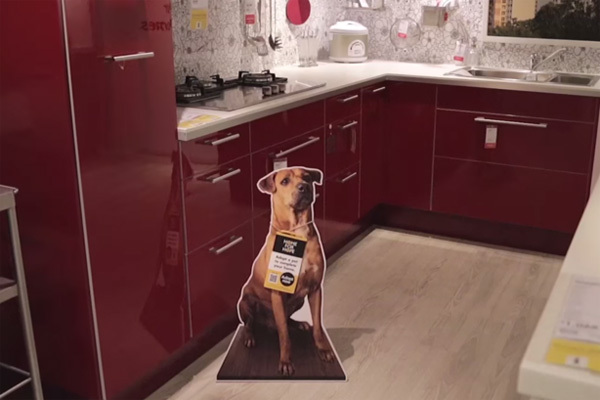 An Inspiring IKEA Campaign Focused on Adopting Abandoned and Homeless Pets is a Fantastic Project of Goodwill!!! 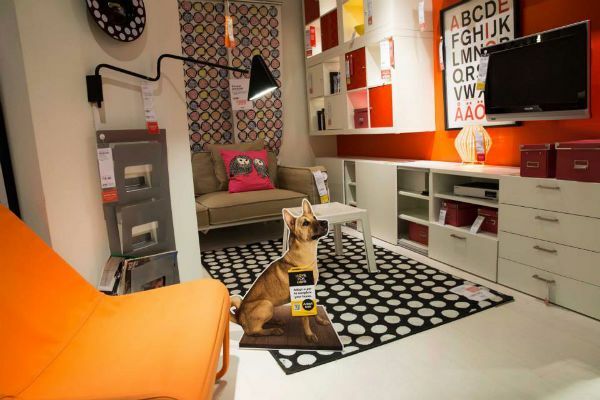 Here is a furniture display at an IKEA store with a unique feature of a life-sized photo of dog that is looking for a new home and family. 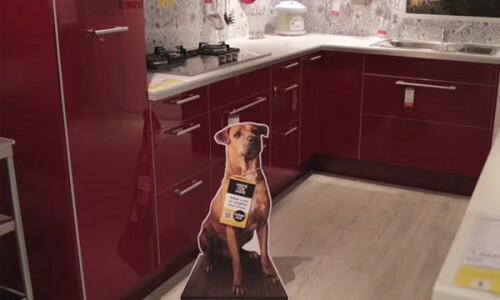 2014, the IKEA Singapore store was collaborating with an animal welfare organization called “Home for Hope” to provide a foster home to dogs that would be otherwise put to death. Life-sized panels of the animals are displayed along with IKEA furniture and shoppers connect inquire about the pet via mobile phone. 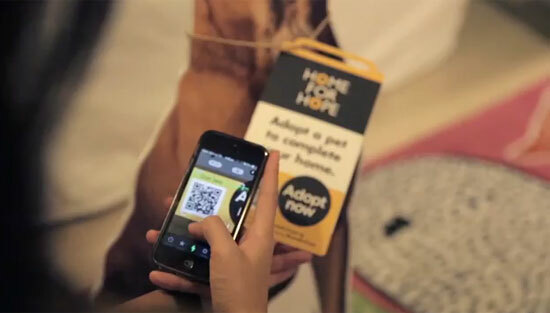 Each panel includes a bar code that can be scanned by smartphone for additional information such as the name and personality of the dog and prospective foster parents can register and apply instantly. This program is currently offered in Singapore and in Arizona. This project is very innovative and provides a real need for homeless or abandoned animals that would be killed instead of being given a second chance for a safe future and a happy life with a new family and home. I hope that IKEA expands this program to all of its other stores all over the world. 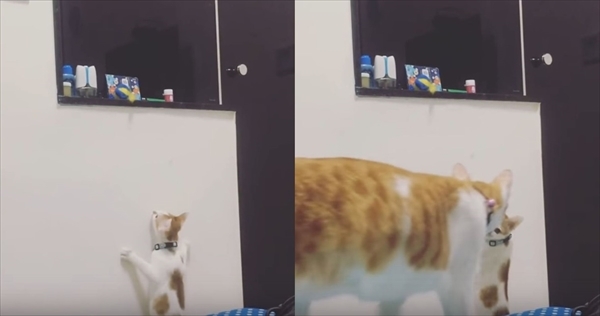 See a Cat and Her Sister Work Together to Retrieve Their Favorite Toy from a High Shelf!!! 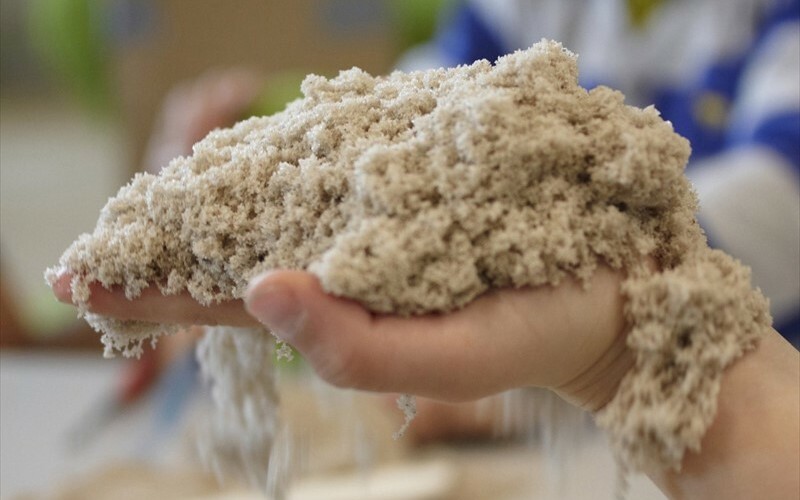 Enjoy the Mysterious and Magical Qualities of “Kinetic Sand” from Sweden!!! Watch an Adorable Video of a Thirsty Koala Encountered on a Mountain Road!!! 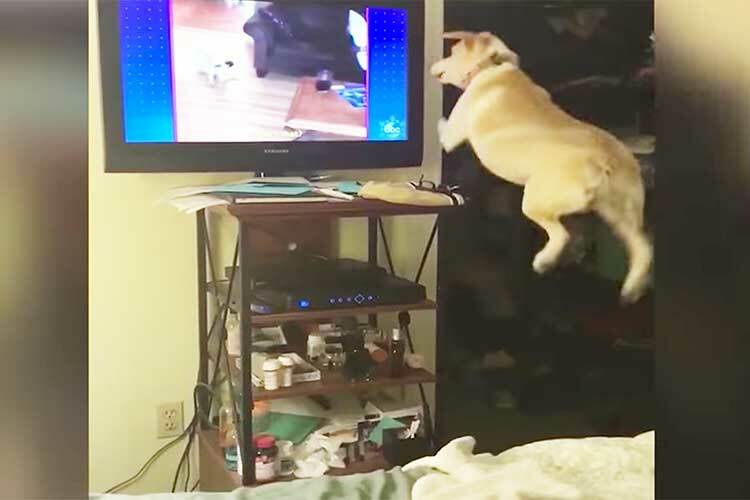 Watch a Small Dog’s Huge Leap in the Air While Watching a Television Program!!! 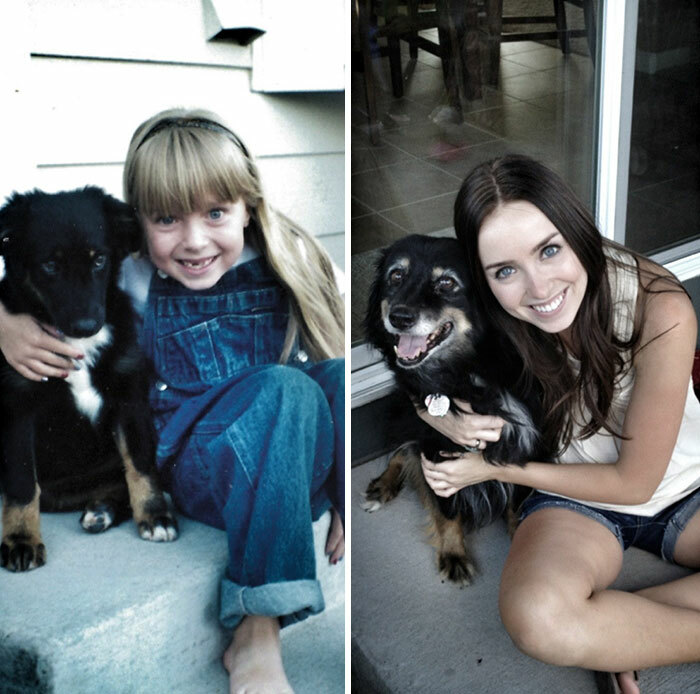 See Some Amazing Before and After Photos of Owners and Their Pets!! !